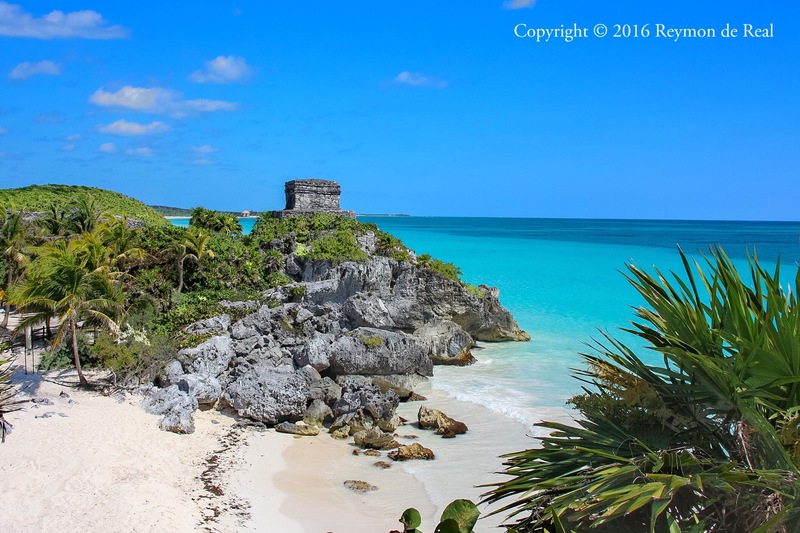 The ruins of Tulum is located on the east coast of the Yucatán Peninsula in the state of Quintana Roo in Mexico. This city was one of the last ones built and inhabited by the Mayans from AD 1200 until it was completely abandoned by the end of the 16th century. Our tour guide informed us that this is the only Mayan city which lies close to the shore. Being in the presence of these ancient architectural wonders was in itself quite an experience already…so imagine that jaw dropping moment when you step out of a corner and see sprawled before you the sapphire blue waters of the Caribbean Sea. Thank you Miriam! You have an interesting page as well. Nice info about your part of the world, which I have not been to yet. Looking forward to visiting Australia someday. Thanks again for dropping by. My pleasure. Look forward to sharing the journey and my part of the world as well. What camera are you using to produce that so professional quality picture. Wow. That is a wonderful setting for a shoot! The colors are fabulous! Tulum is indeed a beautiful place to photograph. Glad you liked a few of my photos. Looking forward to more visits from you. Thank you. You WILL be seeing me again. Thank you for the likes as well! Pls feel free to give me feedback! Take bug spray! We did not and were mauled by mosquitoes. But gorgeous place … I only wish I had had more time there. I don’t remember problems with mosquito while I was there. Too bad you had a bad experience during your visit. You are right about wishing to have more time to spend. We were there for just a few hours. Looks very inviting, right? There were a lot of people swimming on the other side with the longer shoreline. Cozumel was one of the stops of my Western Caribbean cruise and I’m glad I booked this excursion.